Full of snappy wit and hilariously scrawled illustrations, these clever and sweetly cheeky adventures crack us up not only as we read them but again and again as we toss about their hilarious expressions in our daily life. P.S. Little Wolf left us a comment about our conversation with Ian Whybrow interview here! Arooooo! Each player lists 8 facts/habits about themselves. The rules of the game are posted at the beginning before those facts/habits are listed. At the end of the post, the player then tags 8 people and posts their names, then goes to their blogs and leaves them a comment, letting them know that they have been tagged. we drink red wine, eat popcorn with olive oil, salt & freshly ground pepper and watch an episode of Arrested Development every night before bed — no matter what. Imagine drawing while having books read to you. There are no expectations of what you draw, just the freedom to do so. It’s really not such a crazy idea, and yet for so many children, the expectation is that they will sit still and be read to. 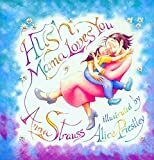 Mark speaks with illustrator Alice Priestley on drawing while being read to by her father — still to this day — getting the rhythm of language into your bones and understanding a story and its characters in order to illustrate books. This feisty fossil fiesta of anatomically correct dinosaurs is not just a riot to read — it ignited an irresistable desire to make the trek to Drumheller (Alberta) to see this unbelievable landscape for ourselves. See you there! The Royal Tyrrell Museum is Canada’s only museum dedicated to the science of palaeontology.Alberta’s rugged badlands hold the richest deposits of dinosaur fossils in Canada. Landmark fossil discoveries have been made there for more than a century, and new and exciting finds continue to be uncovered almost every year. Now imagine sleeping there. To find out about the Royal Tyrrell Museum’s family and youth camps, click here. We’re an ALA great site for kids! We’re very happy to announce that the American Library Association (ALA) has selected Just One More Book!! as one of twelve additions to its Great Web Sites for Kids for 2007. Nominated web sites are evaluated against specific criteria and finalists are voted on by the ALA’s Great Web Sites Committee. This warmly worded and intricately illustrated epic enchants our daughters with its exotic beauty and its underlying themes of kindness and generosity, in spite of its war and gore and shark-toothed, eagle-taloned Anzu birds. You can find more information about cuneiform writing here. There is a multitude of unique stories about how people became involved in the children’s book industry; some knew they wanted to write or illustrate books from the time they were young, others studied the industry and their art form for years, and still others taught themselves and worked hard to break in to the industry. On this edition of Just One More Book!, Mark speaks with illustrator Ben Hodson about his versatile illustration style, the role of illustrations in social justice and how hard he worked to establish himself as a children’s book illustrator. All books collected will be donated to Central Public School in Kingston, ON. As an added bonus, you can qualify to win an author-autographed children’s book of your own. Submit a two-minute audio review about the book that you are donating and what makes it one of your favourites to the Just One More Book!! podcast. Your name will be entered in to a draw. If you have questions about the book drive, email Andrea. We’ve updated the printable list of books featured on the Just One More Book!! 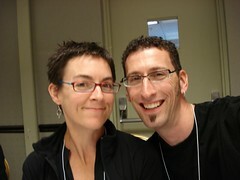 children’s book podcast. To download the PDF of the spring edition of our feature children’s book list, click on the image immediately to the right of this text. Many thanks to Sage and Bayla for participating in JOMB, to Karen and Gwen for leaving us audio comments and to those of you who have sent us feedback via email and have spread the JOMB word in your own circles. We really appreciate your support. If you would like to share your thoughts on a favourite children’s book, please send your review as an MP3 file in email to justonemorebook@gmail.com, phone it in to our listener feedback line (206-350-6487), or send your text review in email. A brief write-up about the Just One More Book! 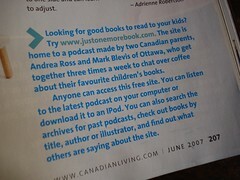 children’s book podcast appears in the June edition of Canadian Living Magazine (print edition). Canadian Living magazine is a national lifestyle magazine that offers articles on food, fashion, crafts, health and family living.